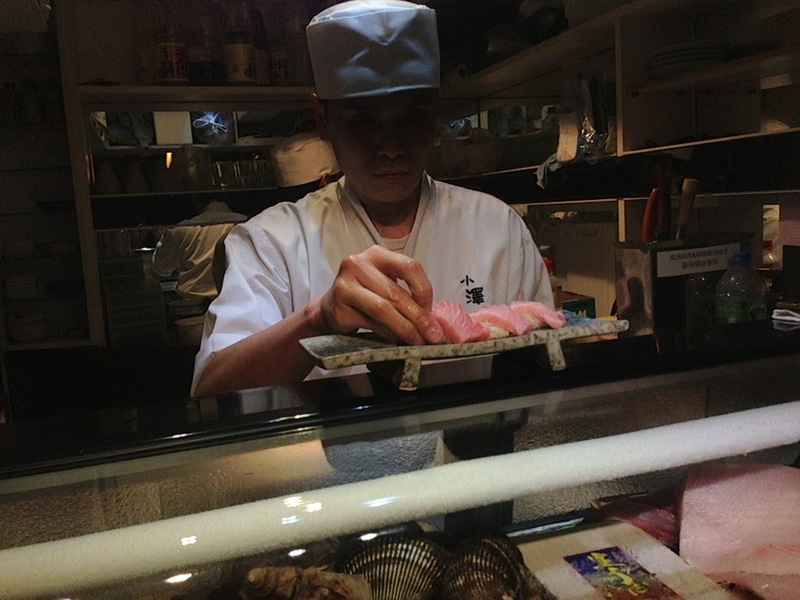 I was so happily fulfilled 2 nights ago at Ozawa in Soho, HK. I usually write and share about things I love and worth mentioning. Yet, I have to admit, this time, I hesitated. It’s all because too many knowing this place will be impossible for me to make a booking in future, with only a capacity of 23 and open for only 4 hours from 6pm, off Sunday. My guilt trip kicks in for being selfish so here you go! 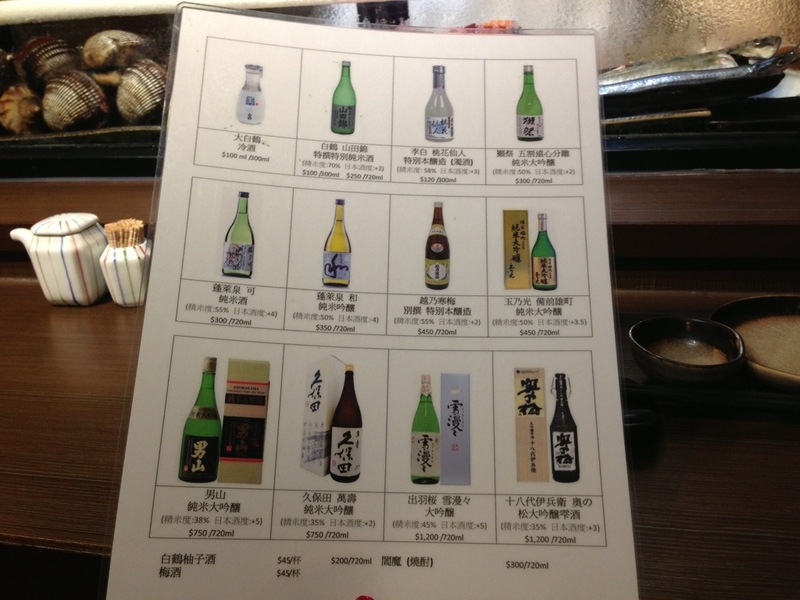 Me and friends decided to have our night at the bar for Ozawa’s Omakase お任せ (what is Omakase ? it is a Japanese phrase that means “I’ll leave it to you”). 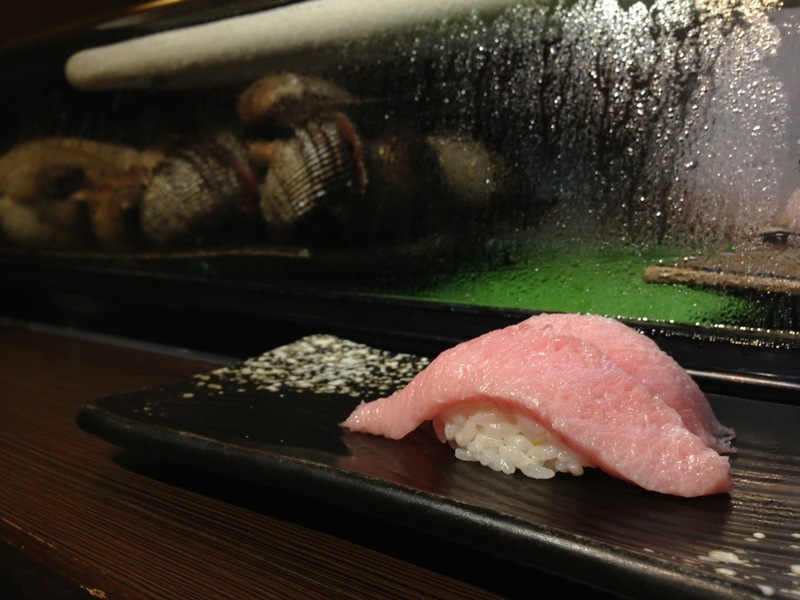 While most sushi bar’s omakase I have been in HK usually cost at least $1k (e.g. 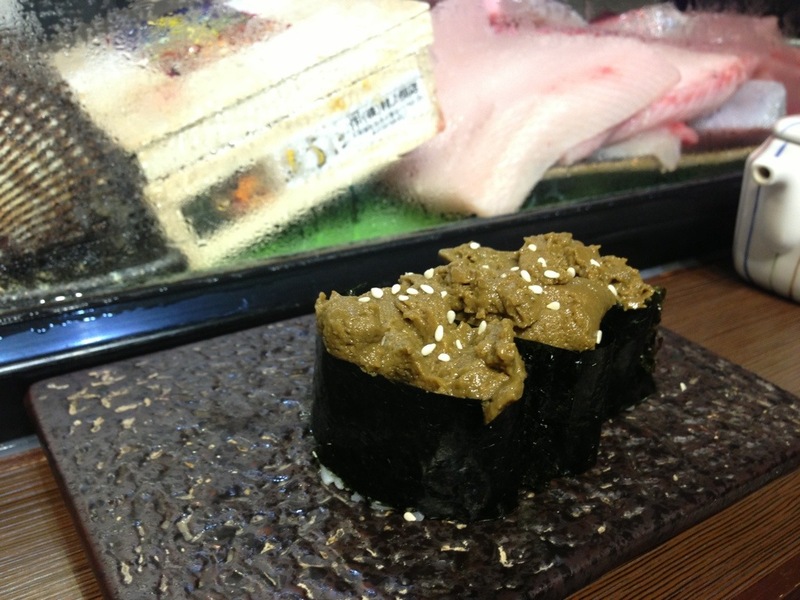 Sushi Hiro, sushi ta-ke) and most time one won’t know the price of omakase until the chef starts ‘cutting’. However, at Ozawa, It’s so cool that if you are close to the chef, you can tell them your budget for your omakase. Of course, you can’t really go for too low or you may ended up with only a bowl of udon for your night. 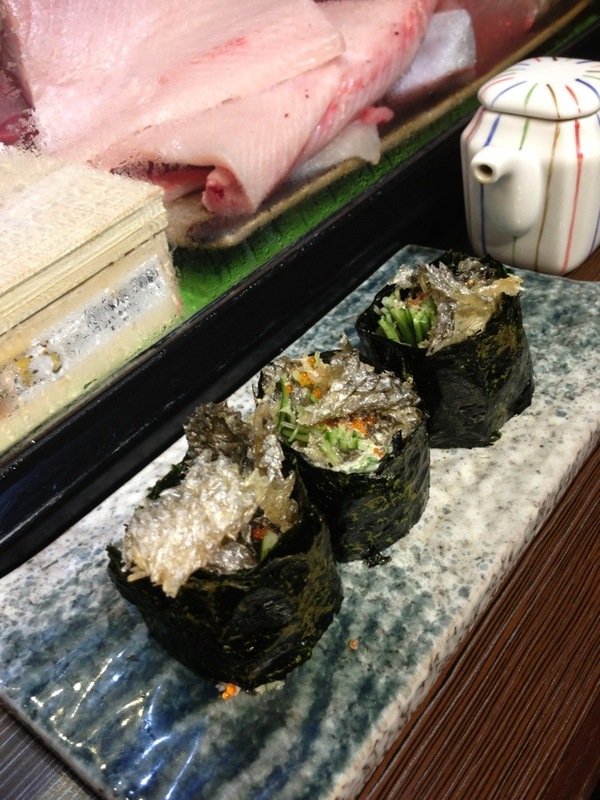 The meal was innovative and surprising in their selection of dishes, I especially love the deep fried fish skin roll! (photo below) . I am going again tonight, and probably another time again down the week too! Tips: Remember to make reservation if you would like to check it out! My first time having a Aligue (crab fat) tofu! Fresh, smooth and sweet!